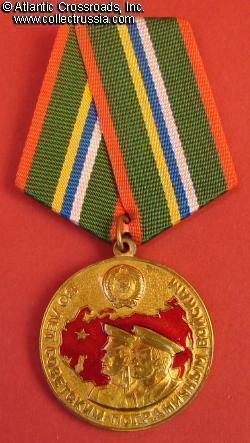 Medal for 80th Anniversary of the USSR Border Guards. Brass, enamel, lacquer; 35 mm wide. Shows profiles of two border guards with red map of the USSR behind them and Soviet state seal on top. 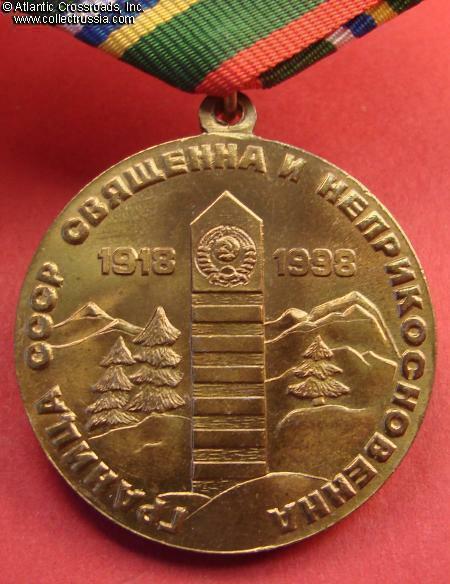 Reverse shows Soviet border marker, dates 1918-1998 and writing "Borders of the USSR are Sacred and Untouchable". 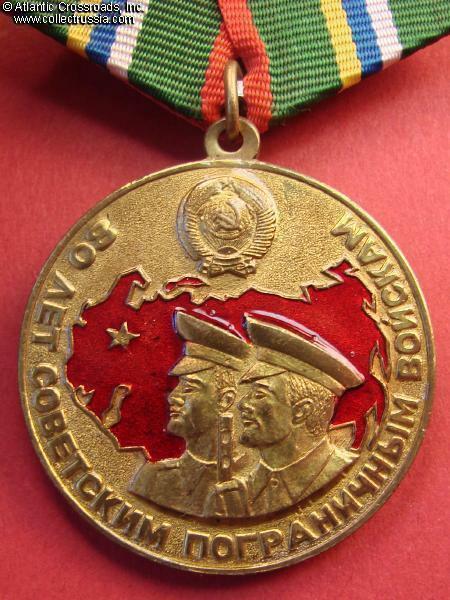 Alternative medal - not recognized as official award by the Russian government.